According to a new study by researchers at the University of Bristol's School of Clinical Sciences, human neural stem cells could improve blood flow in critical limb ischemia through the growth of new vessels. Critical limb ischemia (CLI) is a disease that severely obstructs arteries and reduces the blood flow to legs and feet. CLI remains an unmet clinical problem and with an ageing population and the rise in type II diabetes, the incidence of CLI is expected to increase. Current stem cell therapy trials for the treatment of CLI have revitalised new hope for improving symptoms and prolonging life expectancy. However, there are limitations on the use of autologous cell therapy. The patient's own stem cells are generally invasively harvested from bone marrow or require purification from peripheral blood after cytokine stimulation. Other sources contain so few stem cells that ex vivo expansion through lengthy bespoke Good Manufacturing Practice processes is required. Ultimately, these approaches lead to cells of variable quality and potency that are affected by the patient's age and disease status and lead to inconsistent therapeutic outcomes. In order to circumvent the problem the Bristol's team, led by Professor Paolo Madeddu, used a conditionally immortalised clonal human neural stem cell (hNSC) line to treat animal models with limb ischaemia and superimposed diabetes. The CTX cell line, established by stem cell company ReNeuron, is genetically modified to produce genetically and phenotypically stable cell banks. Results of the new study have shown that CTX treatment effectively improves the recovery from ischaemia through the promotion of the growth of new vessels. The safety of CTX cell treatment is currently being assessed in disabled patients with stroke [PISCES trial, NCT01151124]. As a result, the same cell product is immediately available for starting dose ranging safety and efficacy studies in CLI patients. Professor Paolo Madeddu, Chair of Experimental Cardiovascular Medicine and Head of Regenerative Medicine Section in the Bristol Heart Institute at the University of Bristol, said: "Currently, there are no effective drug interventions to treat CLI. The consequences are a very poor quality of life, possible major amputation and a life expectancy of less than one year from diagnosis in 50 per cent of all CLI patients. "Our findings have shown a remarkable advancement towards more effective treatments for CLI and we have also demonstrated the importance of collaborations between universities and industry that can have a social and medical impact." said Professor Paolo Madeddu. Dr John Sinden, Chief Scientific Officer of ReNeuron, added: "The novel idea of using neural stem cells to treat vascular disease arose from a chance discussion with Professor Madeddu. The discussion led to a short pilot study with our cells producing very clear data, which then developed into a further eight experiments exploring different variants of the disease model, the product formulation and dose variation. 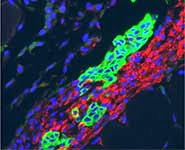 "The study also explored the cascade of molecular events that produced vascular and muscle recovery. 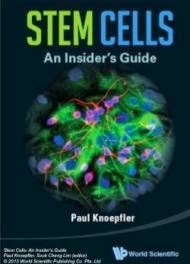 It is a great example of industry and academia working successfully towards the key goal, clinical translation." said Dr John Sinden.